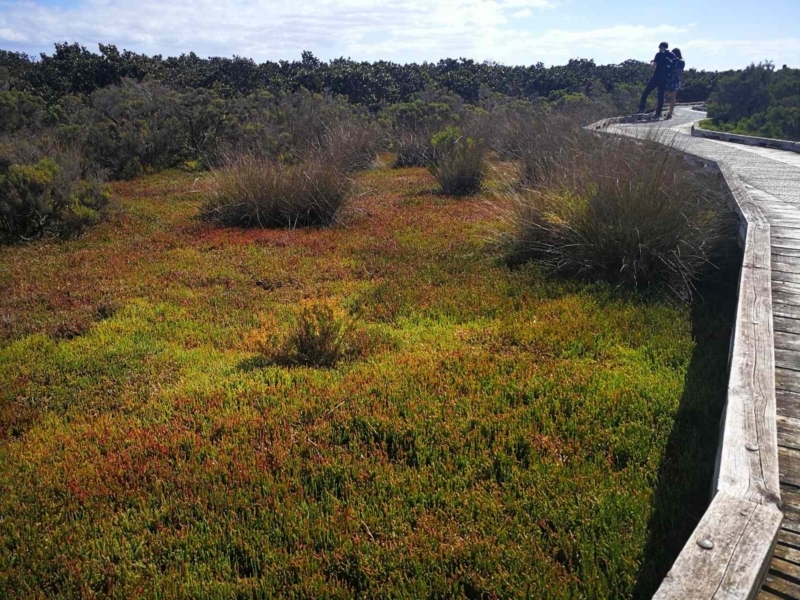 A walk through the RAMSAR-listed wetland habitat on Phillip Island's north-west corner. 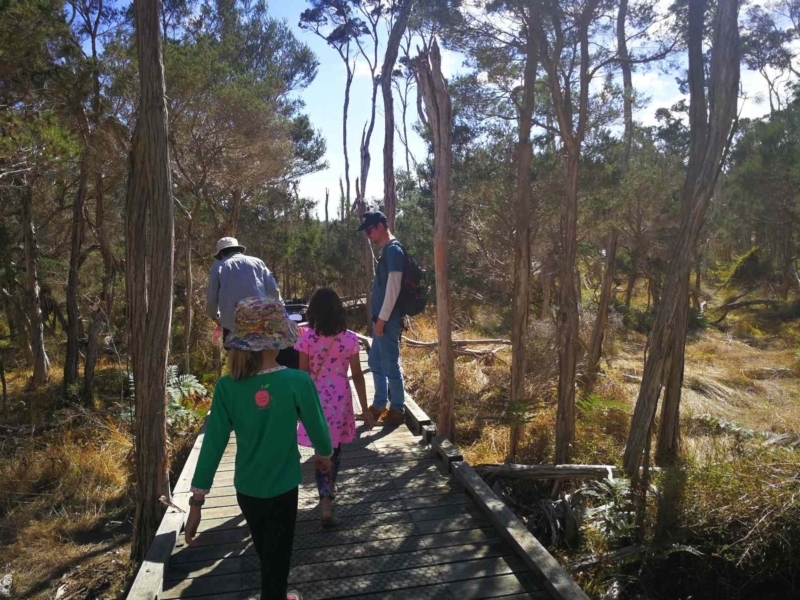 A boardwalk takes you out through the mangroves, before you head through bush towards the town of Rhyll. 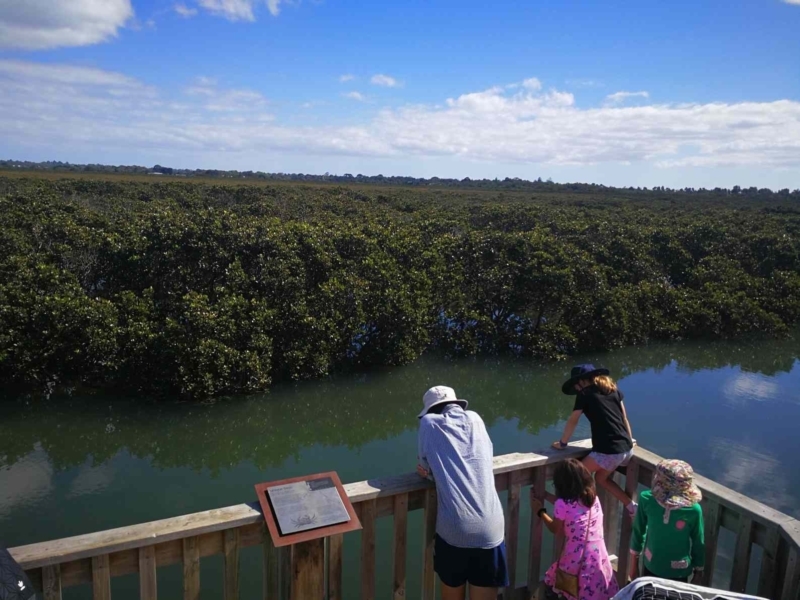 Rhyll Inlet is well worth a visit for nature-lovers as this walk takes you through some varied landscapes. Least of all is the beautiful wetland habitat that is a haven for native and travelling bird species. Some lookouts along the way and helpful information boards spell out the history and value of this place. Rhyll Inlet was almost destroyed in the late 1960s by a proposal to develop a marina. 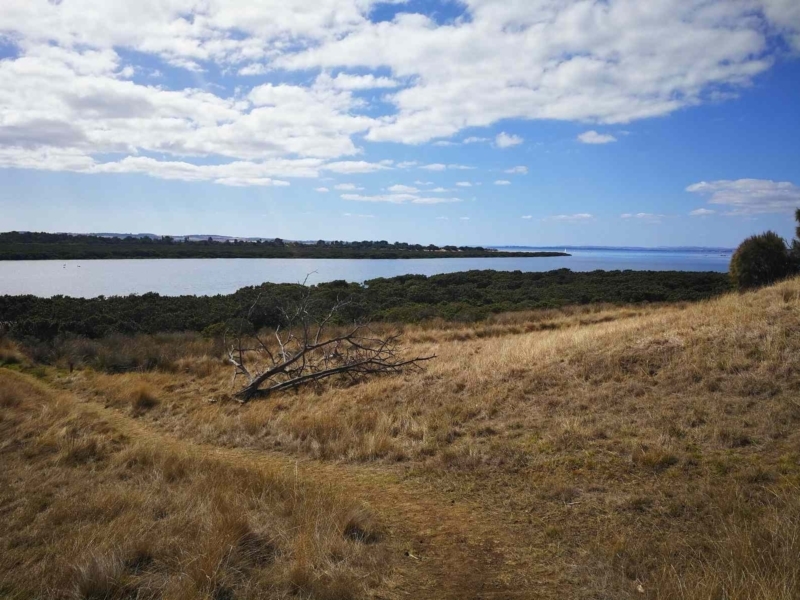 Thankfully some passionate locals fought the proposal, and the Phillip Island Conservation Society was born. Now this wetland is recognised as an area of international significance for water fowl. This map takes you to McIlwraith Road on the eastern border of the conservation reserve. The return trip of about 4.3km can be lengthened by travelling further east to Lady Nelson Point at Rhyll. This walk begins in the Conservation Hill car park. An information board to your right explains the significance of the area. 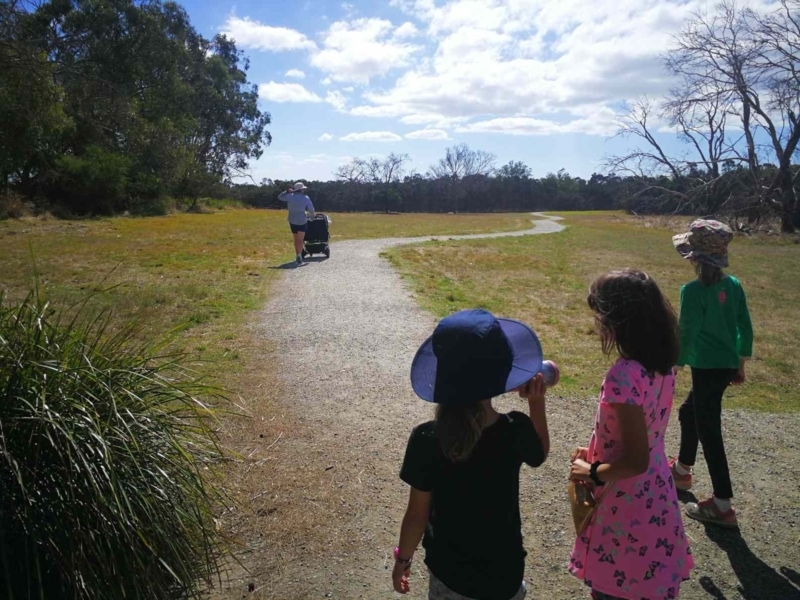 You may spot some wildlife (including wallabies) as you walk north towards the inlet. 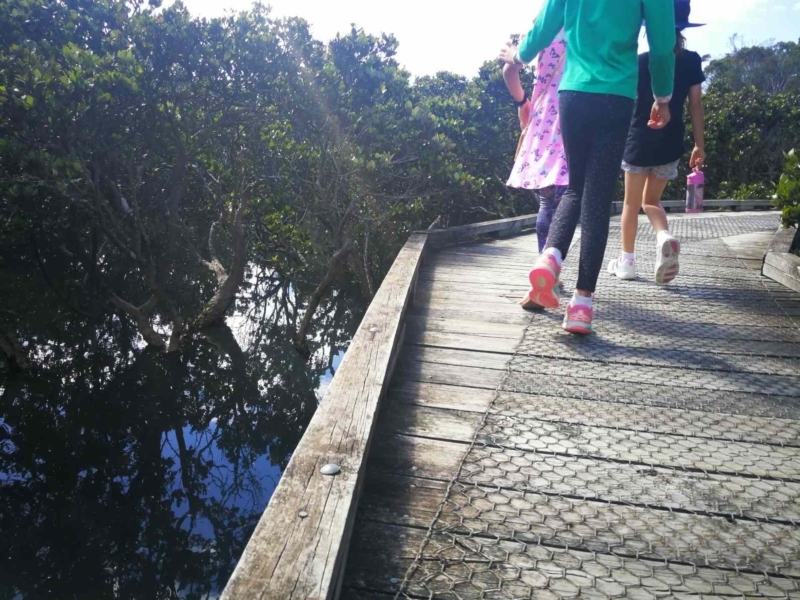 A boardwalk track takes you out over the mangroves. The view can change dramatically depending on the tide. These photos were taken at high tide but low-tide yields a swampier, crab-friendly view! You'll appreciate the vastness of the inlet from here. This track gives you a great view over the inlet. It's a good spot for seeing birds flying overhead and you may also spot some sailors picnicking over the other side of the channel. You may wish to end the first part of your walk here and turn and head back to Conservation Hill. Alternatively, continue east along the grassy coastal path, past the summer houses towards Rhyll. 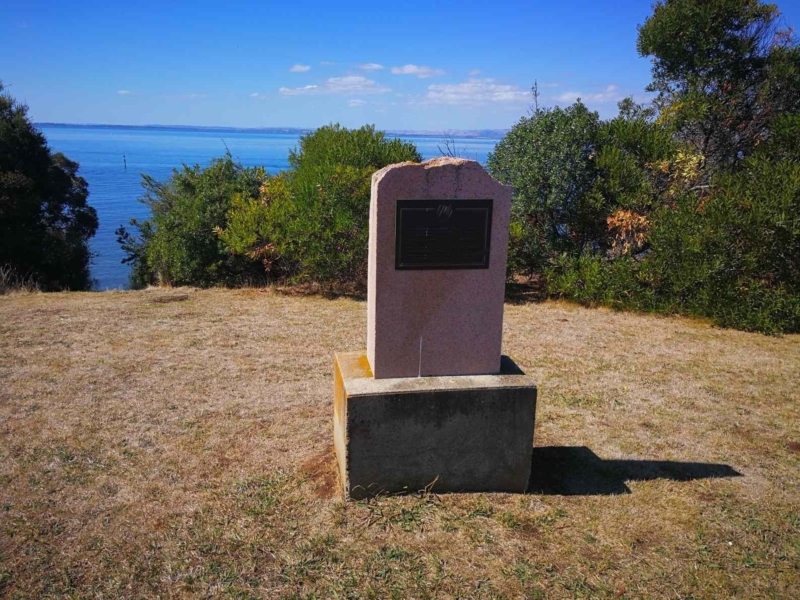 The historical marker (Lady Nelson Point) is a fitting (alternative) end-point for your walk, or you could continue down to the township of Rhyll for a meal.